I received two children's books last week. I thought it would be a good chance to start getting into reviewing more as my nephews and nieces are getting to an age where they can read and understand what is happening in the books. I want to start reading more with them. Unlike myself where the teachers at school didn't even realize I couldn't read and I was in the second grade. This is when my mom decided to homeschool my sister and I and it was one of the best things that could ever happen to me. So now you know a little bit more about me. I was homeschooled from grade 3 till I graduated high school. Now I can't stop reading and can't imagine nevering being able to read. Now with no further ado, I present Baron thinks dogs are people too! and Too tall Alice. Baron thinks dogs are people too! is a story about a dog named Baron. He had a great family who loved him very much, but there was one thing missing…Baron wanted a best friend. Baron tried everything he could to gain a best friend. Unfortunately his behavior was misinterpreted in the wrong way. Baron was sent off to dog obedience school. Baron came back a new dog but good manners still couldn’t change the fact that Baron wanted a best friend. Will Baron ever find his best friend? Baron thinks dogs are people too! is a cute, fun children’s book. 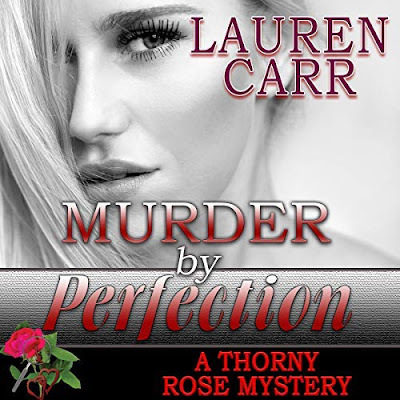 It is written by Laurie Dean and illustrated by Kevin Collier. Baron is the kind of dog you just want to snuggle up to and hug. Who wouldn’t want to be his best friend. I think this is a good book that any child would enjoy reading. The illustrations were also very good. 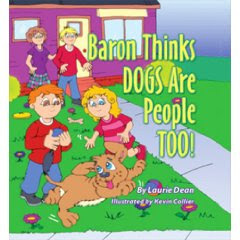 Pick yourself up a copy of Baron thinks dogs are people too! and make Baron your new best friend. Alice is eight years old. She goes to school like any other eight year old but she is unique. Already Alice is four inches taller than every other girl in school. When it comes to picture time, she is the only girl to stand in the back row with the boys. Despite her parents telling Alice she was just fine, she hated being tall and wished she was just four inches shorter. While in her dreams, Alice is paid a visit by basketball players, supermodels, and circus performance girls. They all have one thing in common…they are all tall. Some of the basketball players are seven feet tall. They show Alice that she can be anything she wants to be. It does not matter her height. Alice realizes they are right and accepts her self for who she is. Alice learns that her extra four inches are nothing but a number. I found Alice to be a loveable girl. She has quite a vivid imagination. 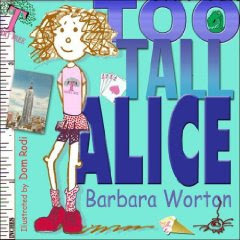 Too Tall Alice teaches children a great positive message that no matter what people may say or think, being different can be a good thing. It makes you unique and special in your own way. I would read this book to any child. The illustrations in this story were bright, fun and creative. Dom Rodi did a good job. I have never read any of author, Barbara Worton’s other children’s books but after reading this one, I would gladly check out her other books. Hi Sarita. Thanks for stopping by. Yes, The last time I remember reading children's books was when I was a child. Now that I have many nephews and nieces I want to change this and read more of them. I got those same two books last week too! my daughter enjoyed both. We have a follow up book to Baron for you and the children. We would like to send you a review copy of Planet Of Dogs, the first book in our Planet of the Dogs series. You can preview the book in advance. For sample chapters,please visit www.planetofthedogs.net. For information on the concepts behind our books and our involvement in therapy dog reading programs, please visit http://barkingplanet.typepad.com. If you would email us a postal address at barkingplanet@aol.com and we will be pleased to send you the book. Do you like Girls in Trucks?